So I opened up my tracking app to see how we were doing. Despite the 24/7 coverage of the impending financial apocalypse, our family net worth hadn’t moved. I opened up my Vanguard app to see how our financial investments were performing. 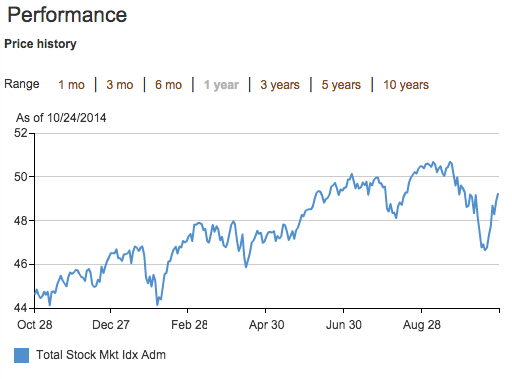 Down about 1% in total – not bad considering the financial pundits were acting like we’d plunged off a cliff. Why so little movement in my life? 1 – I focus on the total portfolio position, not the elements inside the portfolio, which are constantly changing. 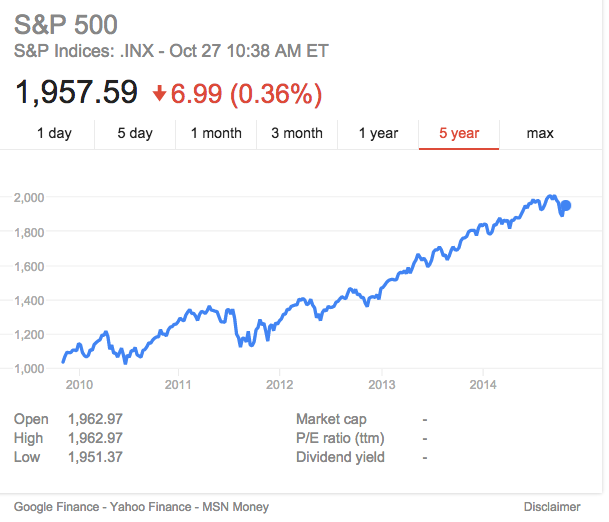 I check in on the portfolio monthly and rebalance the asset mix quarterly. 2 – Aside from a modest 30-year fixed rate mortgage, there is ZERO debt in my financial life. Leverage magnifies the impact of changes in asset prices. NOTE – If you have a financial advisor in a Big Bank then I bet they’ve been trying to sell you margin loans on your portfolio. The cost of your margin loan is greater that my expected rate of return for my portfolio – therefore, I view your margin loan as a direct wealth transfer from your family to your adviser’s firm and bonus. I have pals that make a living selling these products – my choice is to send my kids to public school and make less money. Know that you can get better advice from Vanguard for far less money – plus Vanguard products cost you less than a tenth of what the Big Banks charge. I hold the bonds to reduce the volatility of my total portfolio and to provide capacity to buy more equities when the market tanks. So, I guess the lesson is not to panic? The difference is my capacity to act on my plan, rather than my emotions. If you can’t do the plan then it’s the wrong plan! I’ll end with the five-year chart for an index of 500 large stocks that are traded in the US. 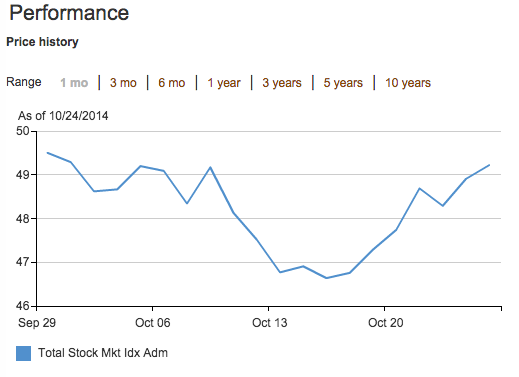 If you thought October was a rough ride, you ain’t see nothing yet, it wasn’t even a blip.